This book covers the basics of project management. This includes the process of initiation, planning, execution, control and close out that all projects share. This book has been adapted by the author as of August 15, 2014. The adaptation includes Canadianized content, PowerPoints, Audio Files, and Chapter Questions, which are located in the book's appendixes. Project Management by Adrienne Watt is licensed under a Creative Commons Attribution 4.0 International License, except where otherwise noted. The textbook does not cover all the material one would need to address in an academic course covering the topic of Project Management – in spite of a detailed chapter list in the table of content. Most chapters contain superficial, non-descriptive, point form lists with incomplete or inadequate substantive information. The list of 23 chapters in the table of content is misleading. Many “chapters” are no more than a page or two in length, containing mostly point-form statements, with little or no substance. Definitions of most technical terms are missing. Exercises are quasi absent in most of the chapters. The few examples are incomplete, simplistic, and inadequately solved. 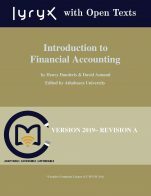 Referencing is inadequate, inappropriate, does not follow any academic format, and is mostly related to a limited number of sources like http://cnx.org/content/col11120/ , Wikipedia, and PMBOK [with numerous references to these limited sources]. There is no bibliography, nor an index, limiting the capability of finding information or references in a quick and straightforward, manner. The writing style is condescending, colloquial, informal, and inadequate for mature audiences. Numerous topics are incorrectly introduced and contain inadequate formalism as well as inaccurate information. For example chapter 1 suggests that typical operational activities are projects, although the concept of project and its definition have not yet been introduced. 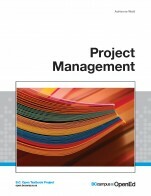 Moreover, most of the “project” examples in this chapter are incorrect and irrelevant – which is confirmed once project management is defined in chapter 5. 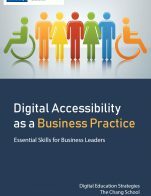 This form of content weakness is present even in chapters of more than one page. The text is poorly structured, with topics jumping from one to another without proper transition or idea flow. Relevance is inadequate, presenting some outdated topics in name only. Maintaining content up to date will require a complete rewriting of the textbook. The writing style is colloquial and patronizing. The students are addressed in a non-professional manner throughout the text in the form of “you” – second person. One needs to consider that in an online environment, mature students could form the majority of the reading audience. Some inconsistencies appear in various chapters. 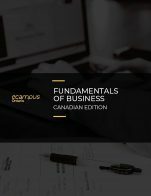 The terminology is adequate but lacks formality – an essential element in business courses. The text consists mostly of short chapters with no exercises. Of course, this results in a reference book inadequate for teaching in a higher education environment. The theory is presented in short segments without proper substance – mostly referring the reader to three main outside sources namely another university, PMBOK, and Wikipedia. 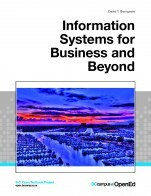 Again, lack of formality is a major weakness – this book is supposed to cover math material were rigour is essential . Because the vast majority of the text consists in short chapters, these are easily identifiable. However, the relation between the table of content and the text is misleading because chapter content is minimal (one to three pages on average). The format of the pdf file is inconsistent – with pages containing oversized pictures or tables, making navigation awkward. Based on the above, the text contains numerous grammar and style errors, including punctuations weaknesses not acceptable in an academic textbook. I found the text offensive because of the condescending nature of some comments, and treatment of the reader in a non-professional way. One needs to consider that some readers (students) could be mature students, therefore not open to the patronizing nature of the written material. This textbook is obviously (to me) a work in progress requiring substantial reviews to be considered for a Project Management course in a higher institution.